Indeed, the DOE posted the photo of the Columbia without any textual interpretation, a move that makes it easy to forget the history of the landscape there. 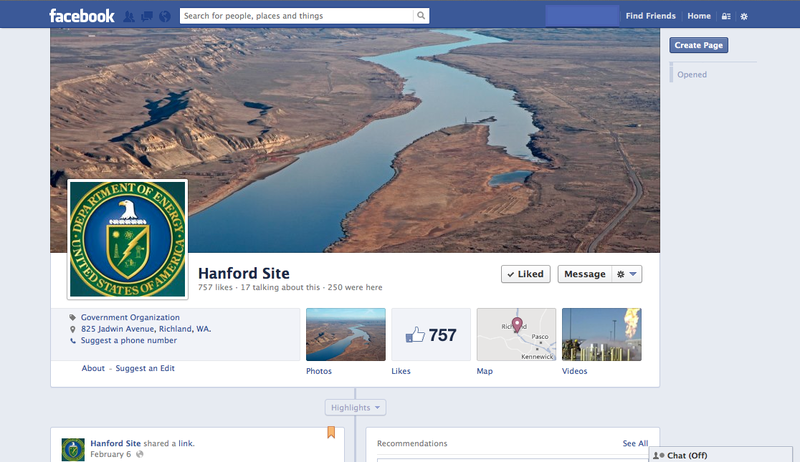 Only someone intimately familiar with Hanford would know that this single bend in the Columbia flows by a decommissioned reactor, the crumbling buildings of a former town, and a portion of the Hanford Reach National Monument that’s dedicated to scientific research. These marks on the landscape represent a fraught history of early settlement, weapons production, and enclosure justified by science, but that history is rendered invisible (or perhaps irrelevant) by the dazzling image of the river. Though the DOE uses the beauty of the Columbia to publicize its cleanup work and even refers to itself as a “steward” of the river, recent revelations about waste tank leaks support what many have known about Hanford for decades— that the DOE is not protecting the river from site contaminants. The beautiful photo of the Columbia River is also a beacon to me…a siren call to continue to push for as rigorous a cleanup of the Hanford Site as is possible. The author is correct – Environmental Management is not represented in the DOE seal so we citizens need to keep the cleanup flame burning brightly.